Do your children’s eyes glaze over when you try to teach them about history? Are their grades in social studies suffering? We all remember learning about history in grade school. Actually, I think the only thing we might remember about it is how boring it was. Lessons seemed to drone on forever no matter when or where in time you were. At least, that’s how it was for me. History textbooks are all about facts, facts, facts. Most kids need a story to go with all of that endless information! This post is all about making history fun for kids. Whether they are in a traditional classroom or in home school, these suggestions just might spark an interest in learning about how our world got to where it is today, and the adults might learn a thing or two as well! First up are two series, both by the name of Dear America, published by Scholastic. The series above is geared towards boys ages 8-12, depending on reading level. The series pictured below is geared towards girls ages 8-12. The books pictured are just a handful of what is included in the series. There are around 19 books in the boy’s series and around 36 titles in the girl’s series. Each book is written in journal form and follows the fictional life of a child during that particular time period. Points in history that the series covers includes the Mayflower voyage, the American Revolution, the American Civil War, the Oregon Trail, the Salem Witch Trials, the sinking of the Titanic, the Great Depression, World War I, World War II, and the Vietnam War. I think this series is excellent for kids just beginning to learn about history because they are reading about kids their age and they could possibly relate to what they are thinking or feeling. Next up is a fun series I like to call the “Who Was?” biography series. I’ve lost count of the number of books in this series because they keep adding new ones. They also have “What Is?”, “Where Is?”, and “Who Is?” for the people who are still living. I love these books because they are simple to understand for the beginning reader and they have tons of fun illustrations to assist in learning about the person or time period. Their website, found here, is an amazing resource for teachers and parents. They offer lesson plans and activity sheets that supplement the books, so kids can extend their learning even more. You’re sure to find most books in the series at your local library or you can purchase the print or digital versions on Amazon here. The last series suggestion I have is called the “I Survived” series. It is very popular with grade school children, and they are almost always checked out of the library. The books pictured above are just a few included in the series. Written by Lauren Tarshis, each book tells the story of a child who lived through one of history’s most terrifying events, including The Battle of Gettysburg, the destruction of Pompeii, the September 11th terror attacks, the bombing of Pearl Harbor, and the Nazi invasion. There are a total of 15 books in the series, and they are for ages 8-12 or Grades 3-7. The whole set can be purchased on Amazon here. The last two books are individual novels about two very important time periods in our history, time periods that should be taught to every generation, so they will not be forgotten. The first is Chains by Laurie Halse Anderson. It’s the first in the Seeds of America trilogy about Isabel and Ruth, two slave girls who lived during the American Revolution. While enduring horrible conditions and abuse from her owners, Isabel becomes a spy for the Patriots, in hopes of securing freedom for her and Ruth. This was a National Book Award finalist and rightfully so. As with all of Anderson’s novels, by the end of the book, you care about her characters as if they were real people. This is available for purchase on Amazon in print and digital copies here. The Boy in the Striped Pajamas by John Boyne is just as gut wrenching. It’s about a nine-year-old German boy named Bruno, who is totally unaware of what is going on in his home country during World War II. His father gets a new job and they move to Poland to a place he pronounces as Out-With, although the reader knows it as Auschwitz, the concentration camp, where millions of Jews were murdered. He sees the people in striped pajamas outside of his bedroom window, and wonders why they are there. This is a powerful book, one that stays with you long after you read it. I recommend it for ages 12 and up. It can be purchased through Amazon in print or digital form here. Thanks so much for stopping by and reading about these awesome books. 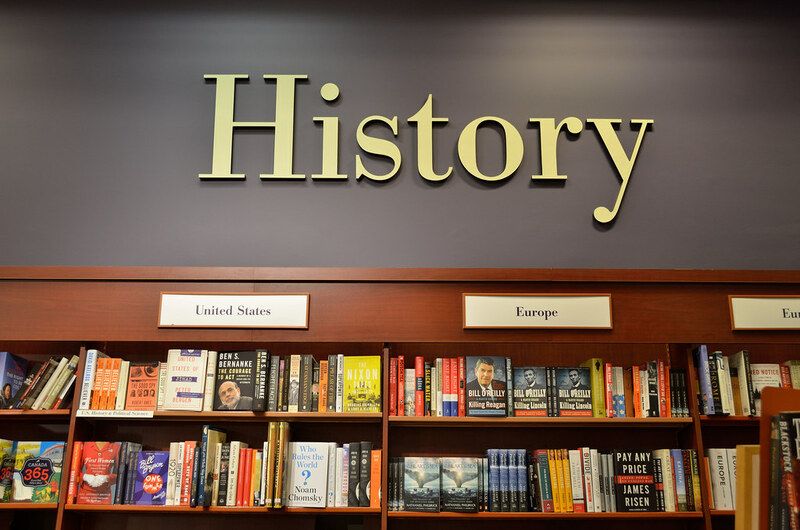 If you have kids that are struggling with history, I hope that these suggestions help. Please feel free to comment below with your own book suggestions or thoughts. Hmm I’m gonna try the “I survived” series with my little cousins. Thank you! Great! Let me know how they liked them!